M Group and its clients have always understood the challenges associated with operating a healthcare business. Physicians and facility managers face a myriad of government regulations and insurance management issues, as well as clinical operations and business management matters. At M Group, we take care of their business needs, allowing our Healthcare clients to focus on improving patient care, while increasing profitability. Healthcare providers face increasing pressure: costs are increasing, revenues are decreasing and government regulations are becoming more pervasive. We encourage our clients to focus on what they do best, providing clinical services and patient care, while we focus on providing: financial management, billing & collection, insurance management, revenue cycle management, regulatory assistance and back office support auditing & cost reporting. At M Group we provide superior accounts receivable and revenue reporting support, with experts who specialize in effective billing, aggressive collections and improved patient account management. Utilizing the latest software, our healthcare experts look for all opportunities to enhance bill processing, while designing collection programs to combat the increasing resistance of payers. See List of Healthcare Services. We also have experienced regulatory specialists who are up to date with the most current government regulations and healthcare legislation. They are focused on helping our clients understand and comply with ever changing government regulations. In addition, we can manage each clients specific back office needs, providing a range of outsourced roles and services - from the simplest of tasks, such as supporting payroll, accounts payable or general ledger functions, all the way to serving as an outsourced Controller or CFO. 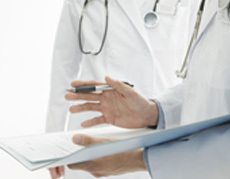 M Group also has an experienced team of auditors who conduct more than 50 audits of healthcare providers annually. These audits ensure that our clients are meeting their requirements for certified financial statements and government cost reporting. Our goal at M Group is to help you run a healthy business. By working closely with the doctors and facility managers we can help you to improve revenue, contain costs and manage risk. At M Group, it’s all about working together for success.